We explore the use of delays to create a time-covert cryptographic authentication channel on the CAN bus. 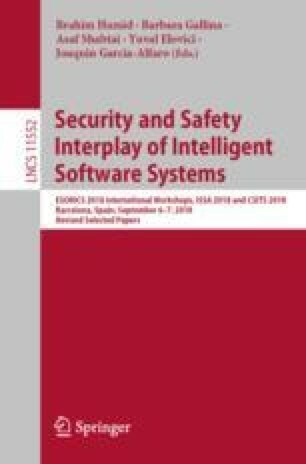 The use of clock skews has been recently proposed for detecting intrusions on CAN, using similar mechanisms that were previously exploited in computer or mobile networks in the past decade. However, the fine-grained control of timers easily allows controllers to adjust their clock potentially making such mechanisms ineffective as we argue here and was also proved by a recent research work. We exploit this potential shortcoming in a constructive sense, i.e., the accuracy of arrival times on in-vehicle buses and the fine-grained control of timer/counter circuits on automotive controllers allows us to use time as a covert channel to carry cryptographic authentication. Based on this procedure we propose an effective authentication and intrusion detection mechanism that is fully back-ward compatible with legacy implementations on CAN. Our proposal directly applies to any modern in-vehicle bus, e.g., CAN-FD, FlexRay, etc. We thank the reviewers for their comments which have helped us to improve our work. This work was supported by a grant of the Romanian National Authority for Scientific Research and Innovation, CNCS-UEFISCDI, project number PN-II-RU-TE-2014-4-1501 (2015–2017) http://www.aut.upt.ro/~bgroza/projects/cseaman/.